Personnel and personnel work hold a decisive role for the success of the revolution, said General Secretary of the Communist Party of Vietnam (CPV) Central Committee Nguyen Phu Trong at the Party Central Committee’s seventh plenary session on May 7. In his opening remarks at the session, the Party leader stressed that the Party always pays special attention to personnel work to meet requirements and tasks of each period of revolution. He said the Party has made sound decisions on personnel and personnel work, and resolutely directed the implementation of policies and measures, thus bringing about important results, which is a key and decisive factor for great and historical achievements in the nation’s renewal process. However, the General Secretary pointed to several outstanding shortcomings and weaknesses in personnel and personnel work. The personnel contingent of the political system is large in number but not strong, resulting in both redundancy and deficiency of officials in many places. The structure of officials in terms of sectors and aspects is not reasonable, with a lack of connectivity between different sectors and levels, and a lack of competent managers and leading scientists and experts, Trong said. He also noted that several leading and managing officials, including those at strategic level, had low prestige and stayed aloof from the people. Some got involved in corruption, wastefulness and group interests. Many officials holding leading and managerial positions took advantage of loopholes to commit wrongdoings for their own interests, causing State asset losses and serious consequences. The phenomenon of “buying” positions is slow to be addressed and curbed, he said, noting that those shortcomings are one of the reasons for the under-expectation development of the country and the erosion of public trust in the Party and State. The Party chief stressed the need to pay more attention to building of a contingent of officials, especially those at the strategic level, who are competent, have full capacity and high prestige. Regarding the project and draft resolution on personnel work submitted to this plenary session, Trong asked the Party Central Committee to carefully study documents, and analyse existing shortcomings and weaknesses to define their reasons, especially subjective reasons, and then discuss how to address these shortcomings and weaknesses in order to better the personnel work. 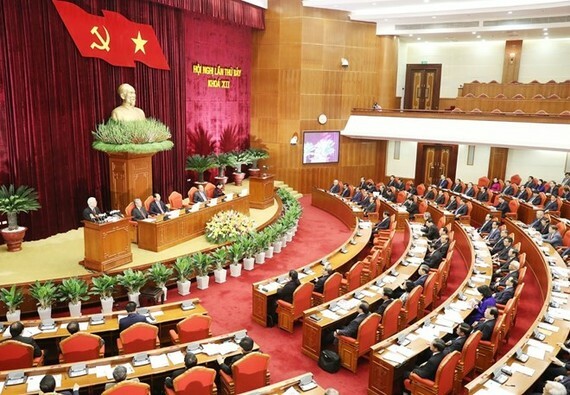 With regard to salary reform, the Party leader said Vietnam reformed the salary policy in 1960, 1985, 1993 and 2003. Salary in the public sector has been improved step up step, especially in particularly disadvantaged regions and sectors, helping to promote salary earners’ living standards. Meanwhile, pay in the enterprise sector has been gradually aligned with the market mechanism under the State’s management. However, he admitted that there remain numerous shortcomings. The salary policy in the public sector is still complicated while the wage payment system has yet to suit jobs and positions, which has failed to encourage employees to increase their productivity, work quality and efficiency. Meanwhile, the basic wage in the public sector is still lower than in the business sector. It hasn’t met basic needs and has yet to be the main income of many employees. Wage in different types of enterprises has also failed to create a driving force for labour productivity improvement and business development, he noted. General Secretary Trong noted the fundamental prerequisites for salary reform, asking the Party Central Committee to discuss to reach unanimity in the emergency and feasibility of this time’s salary policy reform. He told them to specify the viewpoints, directions, along with overall and detail targets for each reform period and decide breakthrough and highly feasible measures to soon tackle existing flaws, thus truly creating momentum for employees and the whole economy to boost productivity, quality, efficiency and competitiveness. 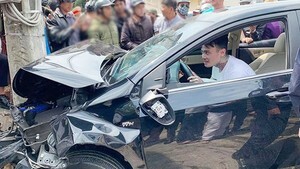 Regarding social insurance policy reform, the Party chief said social insurance was introduced in Vietnam from 1961, only for the public sector in the centrally planned economy and mainly providing old-age and survivor benefits. Reform of the system to make it align with the socialist-oriented market economy and international practice only began in 1995. At the fifth and seventh session of the 11th tenure, the CPV Central Committee considered and issued conclusions relating to social insurance and the provision of wages and allowances for national revolutionary contributors, he added. The project reforming social insurance policy submitted to the CPV Central Committee at this meeting was built on the basic of theoretical and practical summaries with a view to promulgating a specific resolution to make social insurance become a driving force for the country’s sustainable development, Trong said. He asked the CPV Central Committee to seek measures to continuously improve social insurance policies in the coming time while specifying content of the reform such as expanding social insurance coverage for all people, ensuring financial balance of social insurance in the long run, adjusting the retirement age in the new situation, enhancing the connectivity and support between social insurance policies, inheriting and developing principles of adjusting the relatively independent pension for working people, and reducing the eligible time for joining social insurance to get pension. The Party leader reminded to pay attention to both public and private sectors, working people and retired ones, particularly farmers, needy people and vulnerable groups in the society. The seventh plenary session of the 12th tenure of the CPV Central Committee opened on May 7. Main issues on the agenda of the six-day sitting include the personnel work at all levels, especially at strategic level, salary reform for officials, public servants, the armed forces, and workers, and social insurance policy reform, among others.